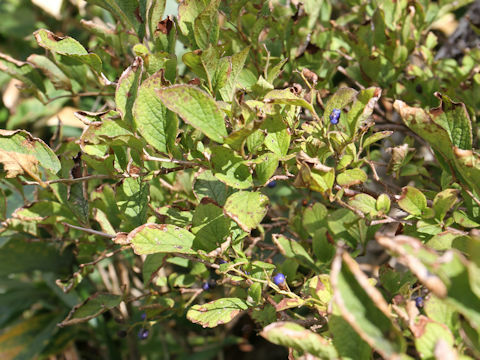 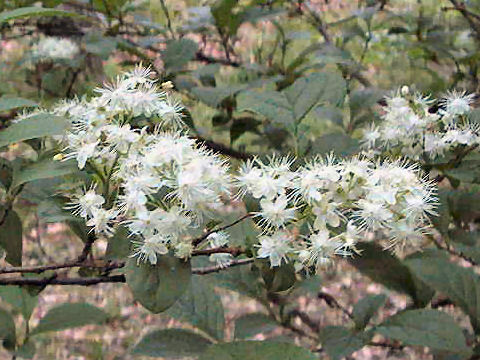 "Sawa-futagi" (Symplocos chinensis var. 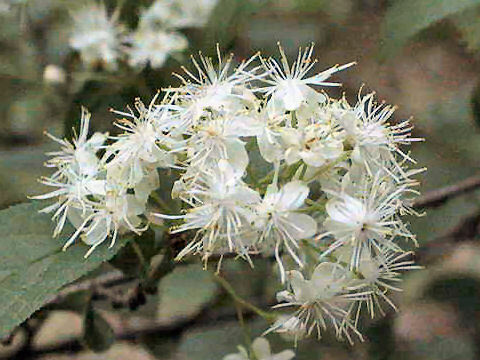 leucocarpa f. pilosa) belongs to the family Symplocaceae. 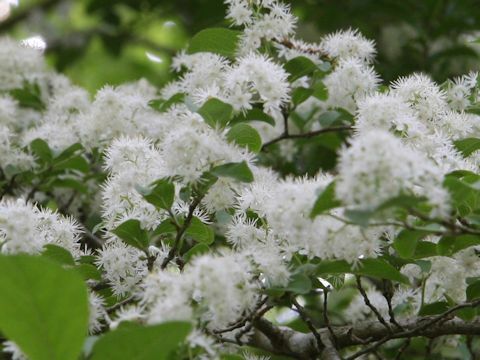 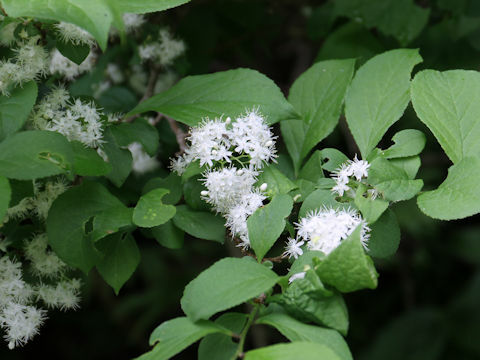 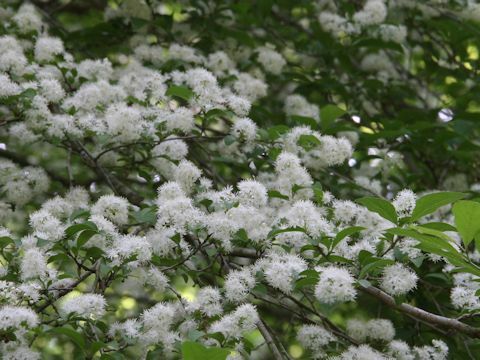 It is a small deciduous tree that is distributed southward from central Hokkaido to Honshu, Shikoku and Kyushu, as well as the Korean Peninsula, China and the Himalays. 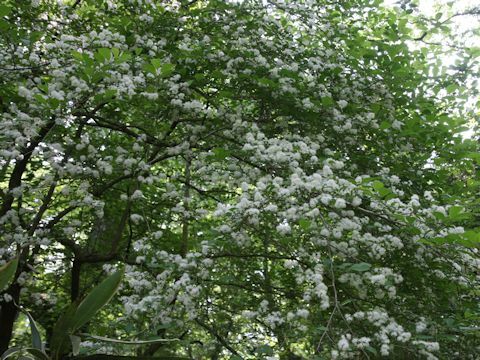 This tree grows in dales or forests, it is much branched at the lower part of stems and extends transversally. 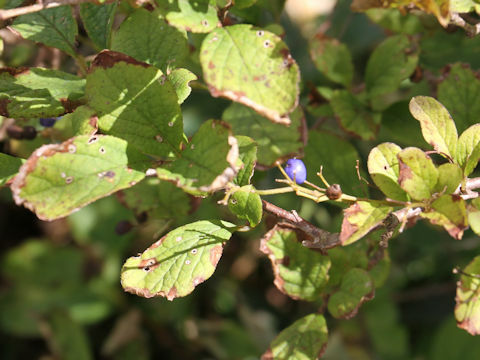 The leaves are elliptic, dull and arranged in alternately. 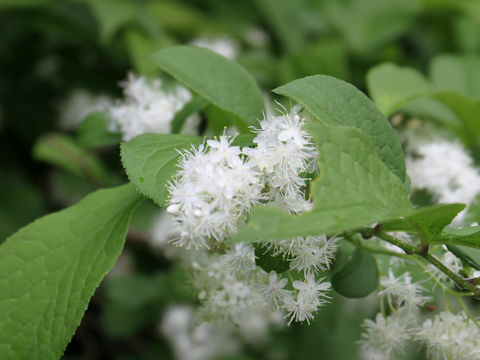 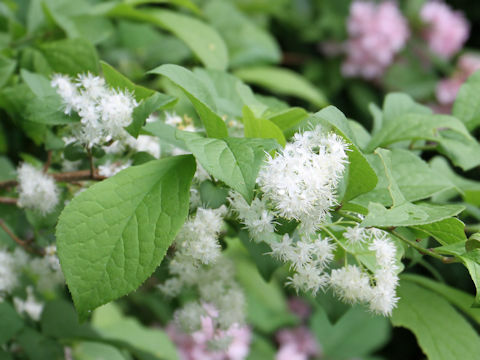 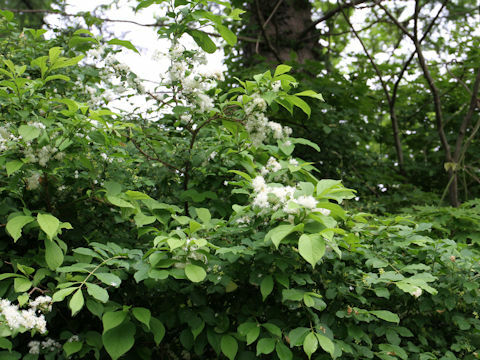 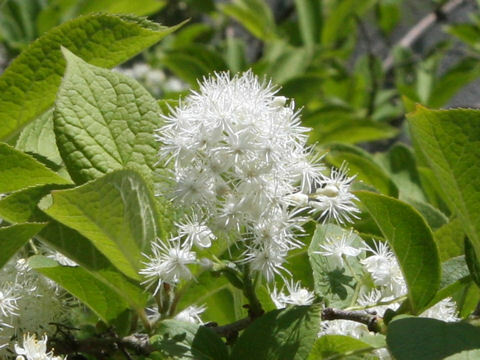 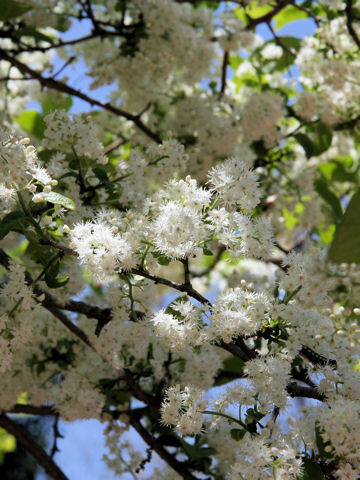 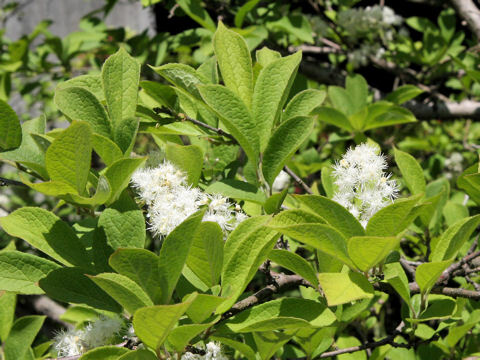 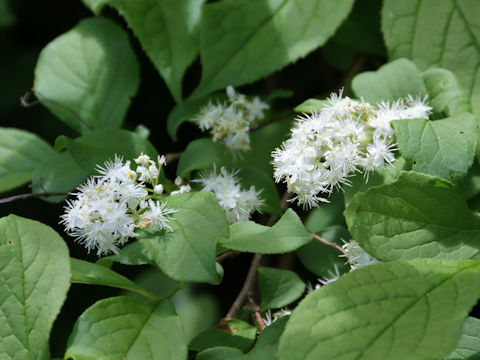 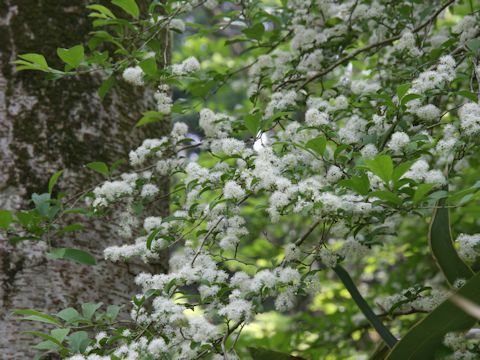 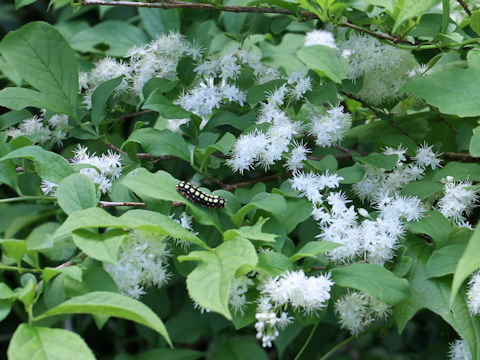 The white flowers bloom in profusion from May to June. 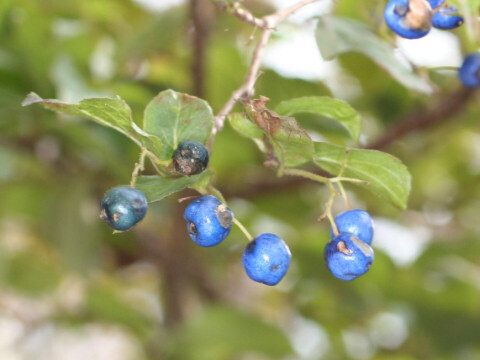 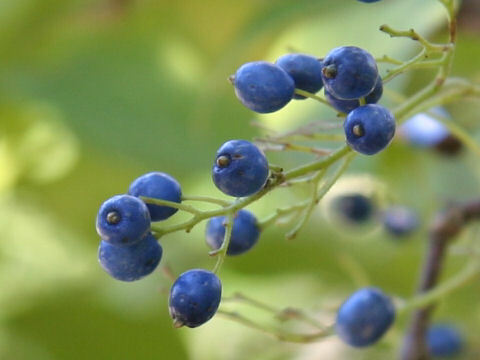 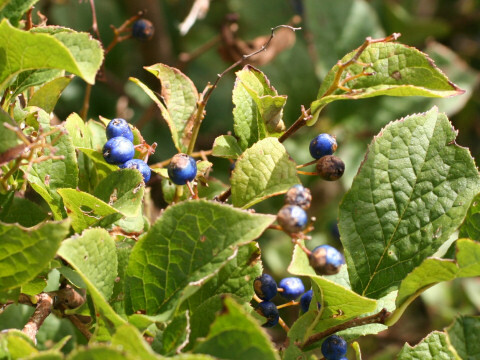 The fruits ripen lazuline in fall.